1814 - Luise Mühlbach, pen name of Clara Mundt, German writer best known for her popular works of historical fiction. 1828 - Elizabeth Rundle Charles, prolific English writer of poems, stories, biography, and religious books, and translator of hymns. 1873 - Saint Thérèse of Lisieux – French Roman Catholic nun best known for her The Story of a Soul: The Autobiography of Saint Thérèse of Lisieux. 1920 - Isaac Asimov, Russian-born American biochemistry professor and author, known for his science fiction but also prolific in mystery, fantasy, and popular science writing; he first coined the word robot. He also enjoyed writing off-color poetry and once published a volume called Lecherous Limericks. 1921 - Jan Slepian, American author of poetry, as well as books for children and young adults; she was also a psychologist. 1931 - Zakaria Tamer (زكريا تامر‎, also transliterated Zakariya Tamir or Zakariyyā Tāmir), Syrian short-story writer, children's author, journalist, satirist, newspaper columnist, and editor who is one of the most important and widely read and translated short-story writers in the Arab world. 1933 - Seiichi Morimura (森村 誠), Japanese novelist and author, best known for the controversial The Devil's Gluttony, which revealed atrocities committed by a unit of the Imperial Japanese Army during the Sino-Japanese War (1937-1945). 1937 - Chandrashekhara Kambara, prominent Indian poet, playwright, folklorist, and film director, known for effective adaptation of the North Karnataka dialect of the Kannada language in his plays and poems, and for his use of folklore and mythology interlinked with contemporary issues. 1940 - Susan Wittig Albert, bestselling American author of mystery, historical fiction, and memoir. 1945 - Diane Mary Fahey, award-winning Australian poet and literary mystery novelist; much of her work focuses on nature writing, Greek myths, visual art, and fairy tales. 1949 - Christopher Ferdinand Durang, American playwright known for works of outrageous and often absurd comedy. 1951 - André Aciman, Egyptian-born novelist, memoirist, and professor of literature. 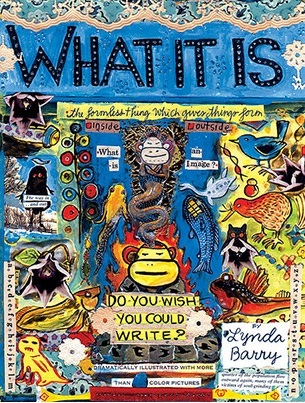 1956 - Lynda Barry, American cartoonist, writer, and professor.